The ultimate gift for the dog lover: a year of extraordinary canine portraits, in color and black-and- white. A joyous spaniel bounding across an open field. A Bosnian Coarse-haired Hound standing in the falling snow. A Goldendoodle waiting eagerly by the front door for his morning walk. Plus a Shar-Pei enjoying a day by the ocean, a German Shorthaired Pointer with her favorite tennis ball, and a Corgi playing in a pile of autumn leaves. Each image captures its subject in beautiful detail, reminding us why the dog is man’s best friend. 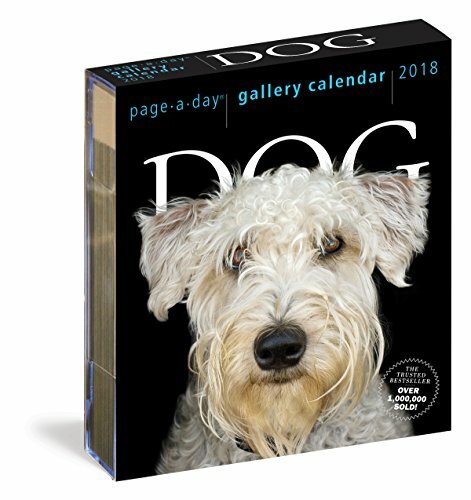 The Rolex of calendars, the Page-A-Day Gallery Calendar elevates what a calendar can be, incorporating engaging content with the weight, style, and visual richness usually reserved for art books. A sophisticated gift for collectors, connoisseurs, and aficionados—and an aesthetic upgrade for any desktop. 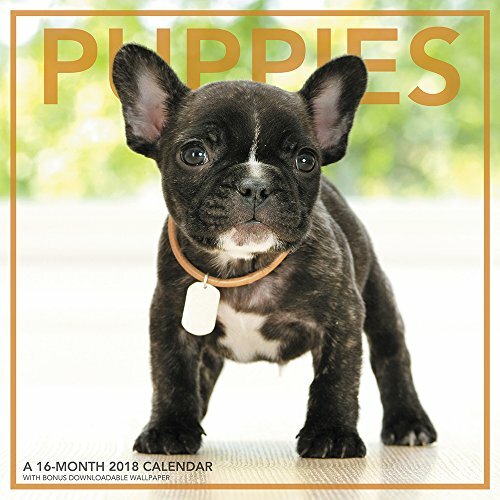 If you love dogs and cute kids, then this is the calendar you need in your home, office, or both! 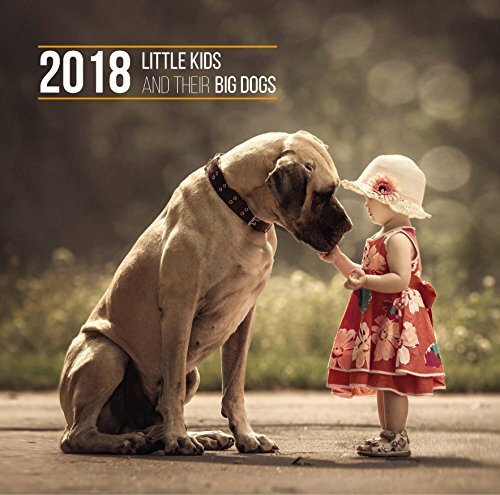 Introducing, the 2018 wall calendar featuring photographs of cute kids and their protective canines. Andy Seliverstoff's photographs' remind you of the love, tenderness, and kindness that still exist in this world. 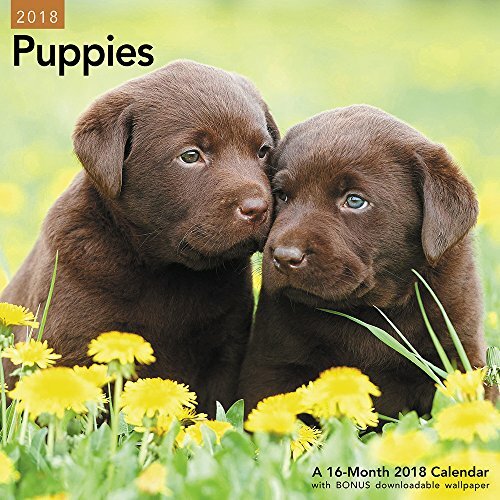 Each month showcases an adorable child and a loving puppy, whom cherish each other throughout the year. You cannot help but feel happy when you write down your upcoming appointments, events, or trips. This 2018 wall calendar easily hangs in your common space so you are constantly reminded of your to dos and upcoming events Buy two for your home and office for continuous enjoyment. 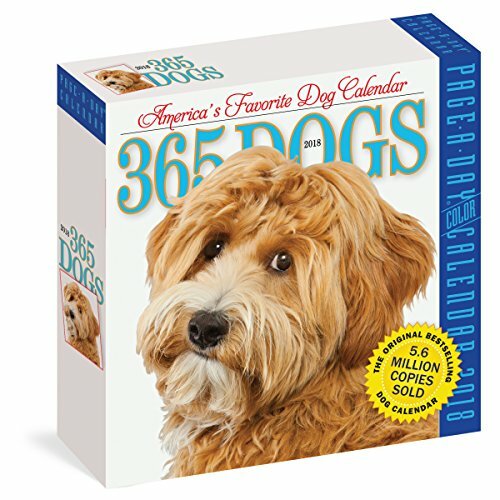 Buy extras as gifts for your fellow dog lovers and parents. This 2018 calendar measures 11.75 inches by 11.75 inches. 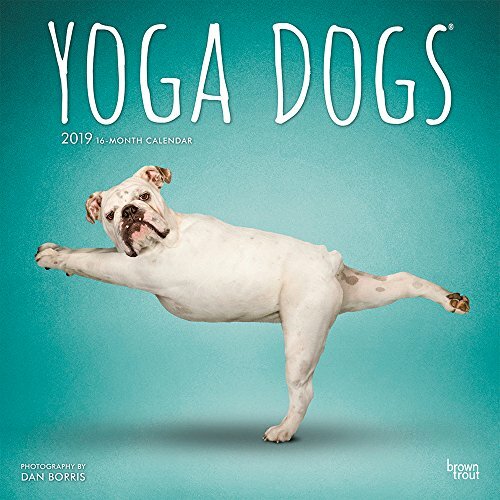 This wall calendar gives new meaning to "Downward Facing Dog." 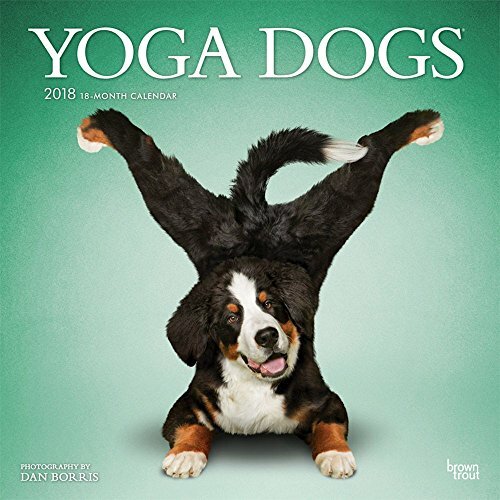 The Yoga Dogs calendar features a year of digitally reworked images showing endearing dogs positioned in classic yoga postures. These reworked canine portraits will bend your mind and delight you. The time is here to laugh and be inspired. Play, Bark...Breathe. Nama-Sit. Nama-Stay. Laugh through the year with 13 hilarious images of dogs photographed by Carli Davidson. Enjoy the ears and jowls flapping, and slobber flying all year long! Were pawsitive - Dogma is one of our bestselling titles, proving that it truly is a dog's life! 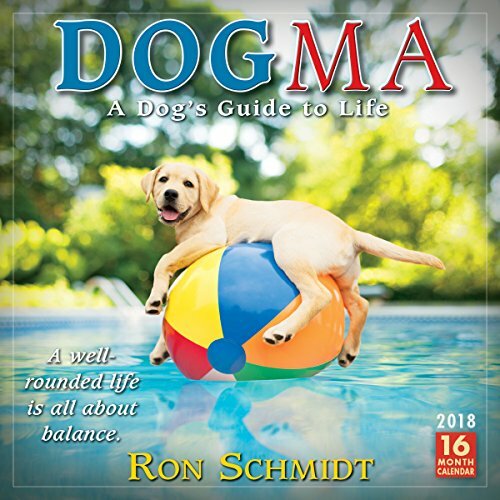 Nationally recognized photographer Ron Schmidt gives dog lovers a visual treat with his charming photos paired with what can only be described as doggone brilliant maxims. 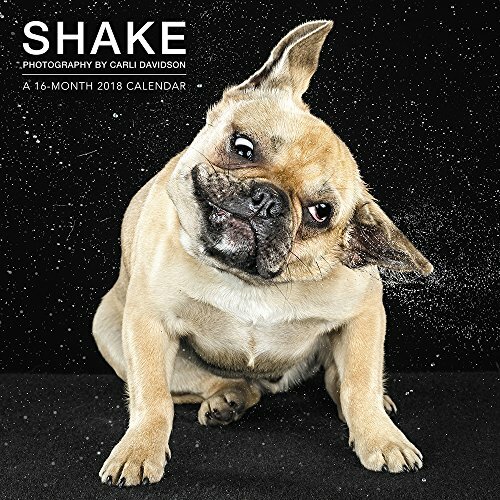 This calendar has gone entirely to the dogs - and you're going to love every minute of it! 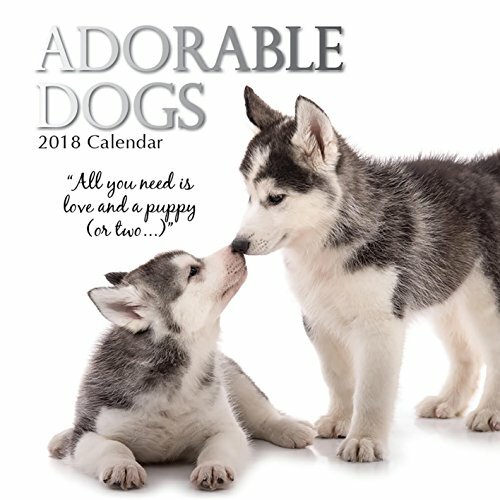 Compare prices on Dog Calendar at ShopPlanetUp.com – use promo codes and coupons for best offers and deals. We work hard to get you amazing deals and collect all available offers online and represent it in one place for the customers. Now our visitors can leverage benefits of big brands and heavy discounts available for that day and for famous brands.